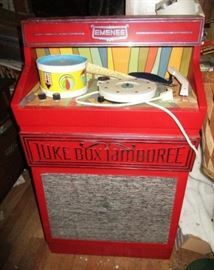 AWESOME ANTIQUE & COLLECTIBLE SALE! 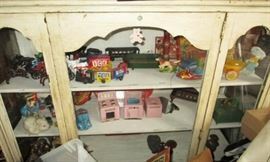 TOYS, BANKS, FURNITURE, CHALKWARE, PLUS MORE! AddressThe address for this sale in Pinckney, MI 48169 will be available after 9:00am on Thursday, May 2nd, 2019. If the sale has to be postponed due to inclement weather conditions, sale will be held the following weekend (February 15 and February 16)! Call 507-461-2688 or 507-461-1327 with any questions! 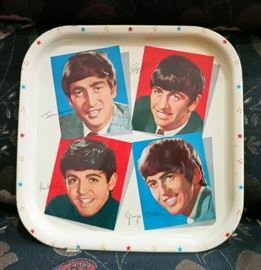 Vintage 1964 Beatles Tin Tray, Made in Great Britain, Very Nice! 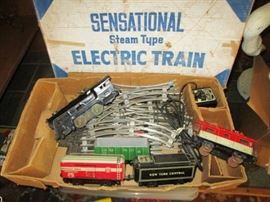 Antique & vintage toys, trucks, models, etc! 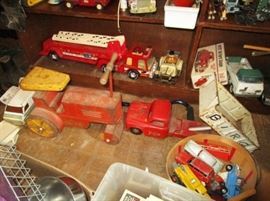 Antique & vintage toys, cars, trucks, trailers, etc! 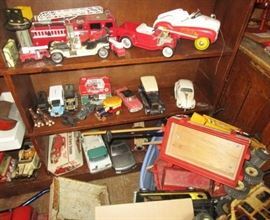 Antique & vintage toys, cars, trucks, models, etc! 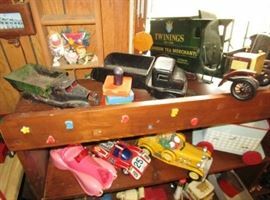 Antique & vintage toys, trucks, cars, etc! 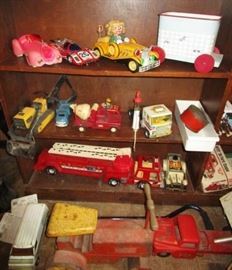 Antique & vintage toys, trucks, trailers, tractors, Tonka care trailer, etc! 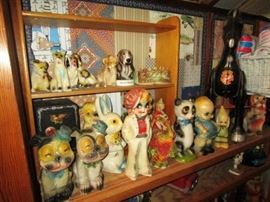 Antique & vintage toys, collectibles, figures, wall/table shelf, etc! Vintage Fair signs, Mason, Michigan, crocks, tins, etc! 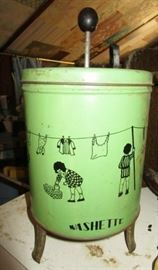 3 gal butter churn, antique sewing machine, typewriter, cast/wood doll bench, antique cash register, guitar, collectible boxes, etc. Mahagony chest (1 of 2), train collectibles! Silverplate, pewter, many boxes of collectibles & treasures to go through! Collectible lamps, bottles, porcelain, pottery, crocks, advertising thermometers, etc! Vintage stove, antique display cabinet w/ beadboard back, a large collection of collectibles (pottery, brass, cast iron, porcelain) yet to be discovered! Vintage kitchen collectibles, cookie jars, etc. 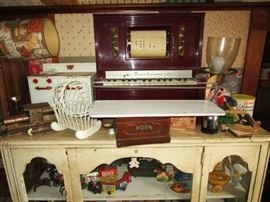 Vintage toy irons, Brady Bunch lunch box (missing thermos), wooden jack in the box, gum ball machine, etc. isc. 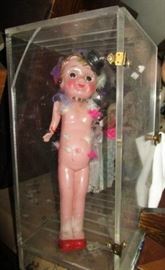 collectible dolls, misc. figurines, etc. Dolls of the land, toy top, etc.